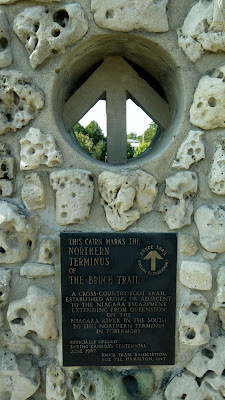 The end of the Bruce Trail overlooks the town of Tobermory on the north edge of the Bruce Peninsula. 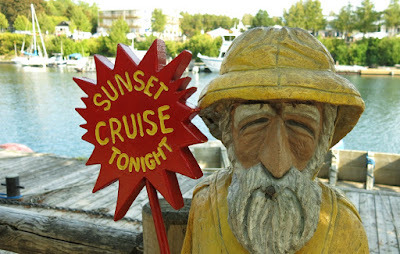 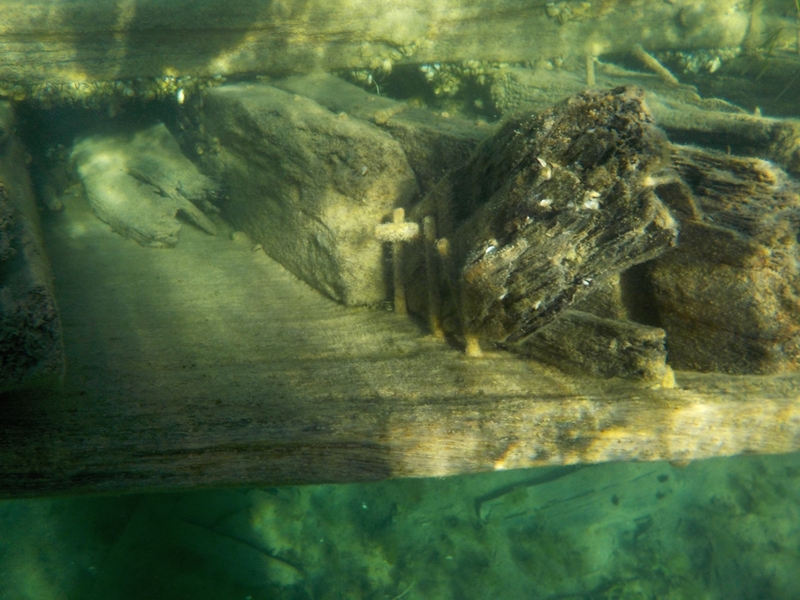 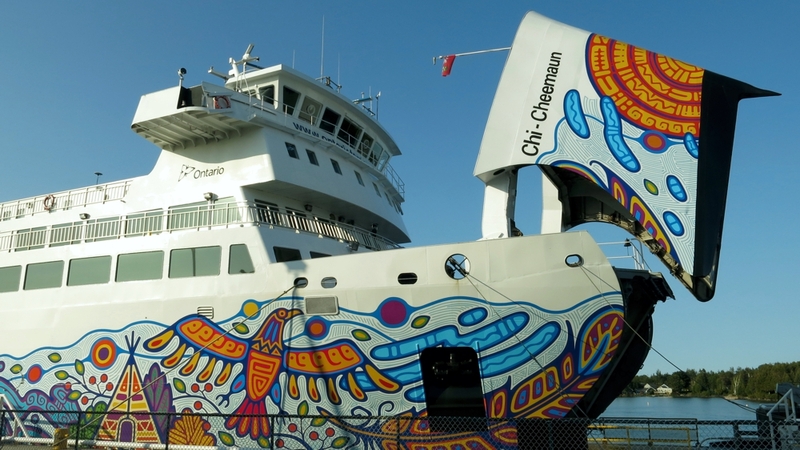 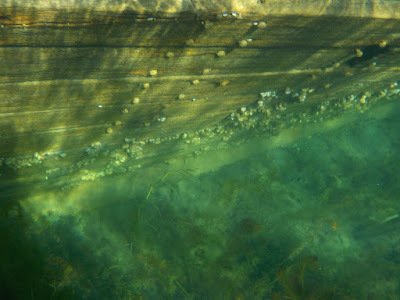 From the harbour you can catch some glass bottom tours of ship wrecks and tourist destinations like Flowerpot Island as well as explore the tourist town or take the car ferry called Chi-Cheemaun over to Manitoulin Island. A plaque also notes that the Niagara Escarpments which follows an overland path, unbroken from Niagara Falls, submerges at Tobermory. 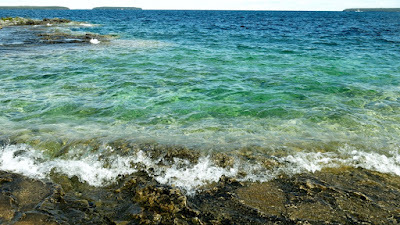 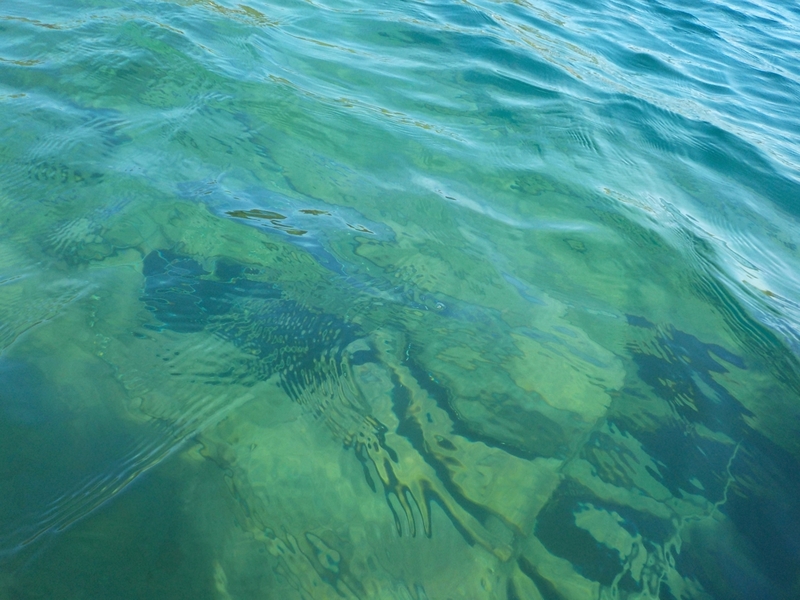 The clear waters are a beautiful blue and green and help form the entrance to Georgian Bay off the Great Lake waters of Lake Huron. 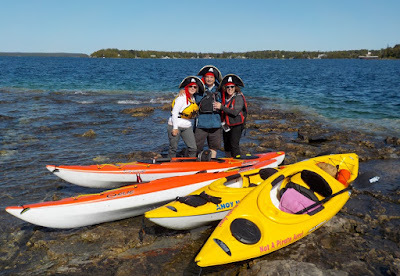 We plan a two day kayak excursion with our friends heading north of Toronto to Collingwood where we check out the choppy waters at Northwinds Beach which is near the base of Blue Mountain Ski Resort. Too cold, too wavy, too late in the day. No go, so we head into Blue Mountain Village for some sightseeing and restauranteering. 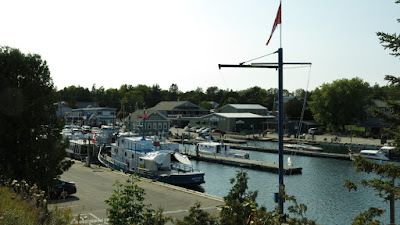 We stay in Collingwood for the night at Comfort Inn and Suites at the corner of Balsam and First Streets and get some rest before our adventure in the one of the prettiest towns in Ontario. 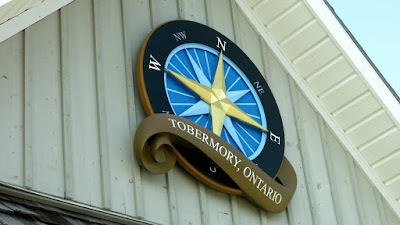 In the morning the hotel puts on a great breakfast, which is included in the cost of the room, and so fortified we begin our journey to the end of the Bruce Peninsula. 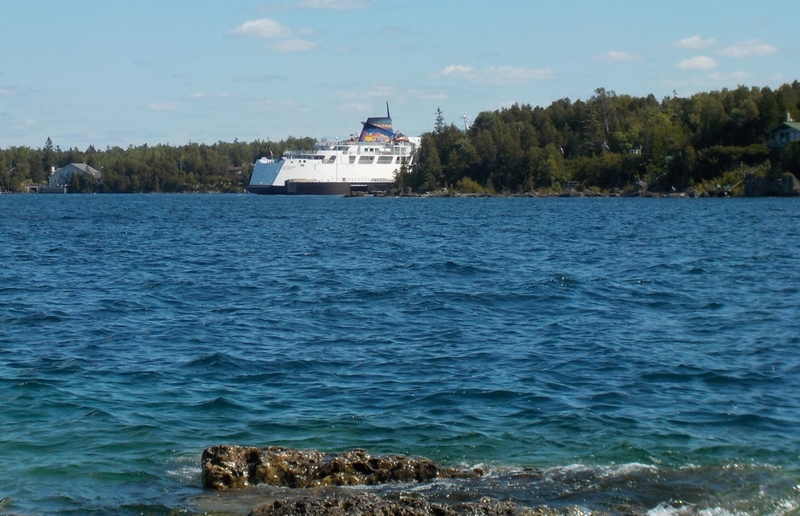 Our first destination is somewhere to put in kayaks so that we can go into Big Tub Harbour to see some of the shallower ship wrecks. 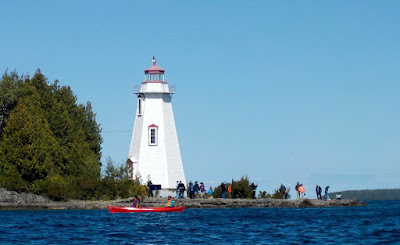 The closest place to find parking and a launch site was at Lighthouse Point Public Access (Tobermory Big Tub Lighthouse) which features paid parking and porta potties. We set off in our kayaks to the inland end of the harbour where the ruined ships lay on the bottom of the bay. 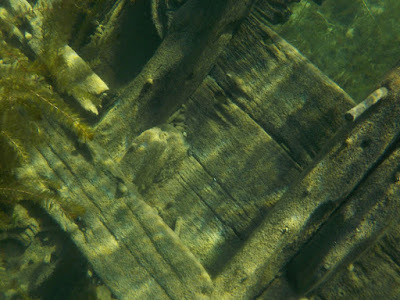 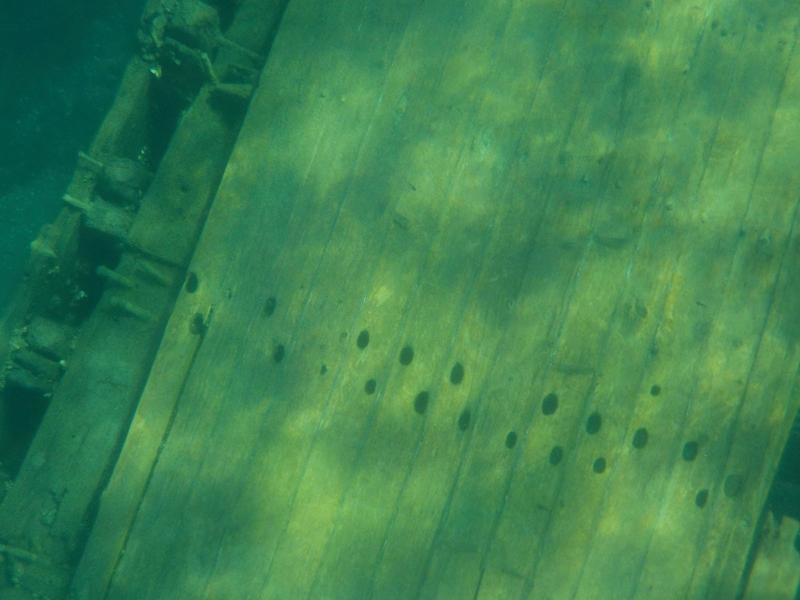 At certain periods when the water is low, parts of the ships stick out of or are close to the surface. Bouys mark the location in an area circled by some pretty nice cottages and homes. At first you notice large changes in the colour of the water and when you get closer you can make out the shapes of the vessels. 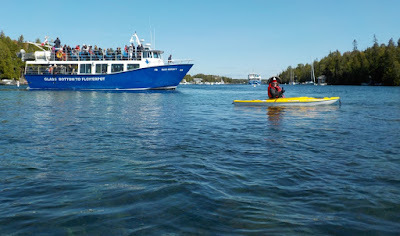 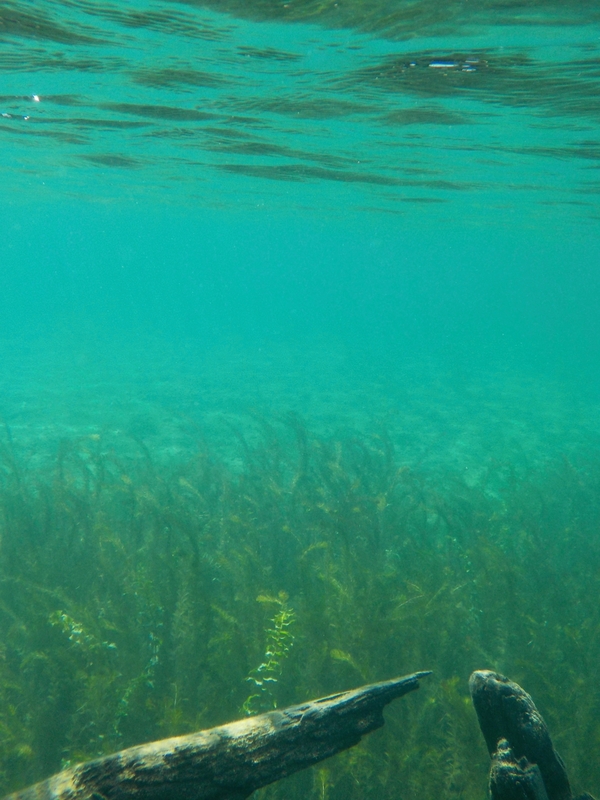 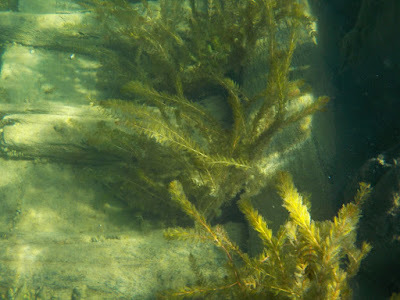 Without a mask or waterproof cameras it is difficult to make out the details of the ships and that is why glass bottom boat tours are very popular with the Blue Heron Company and Bruce Anchor Cruises providing these tours. 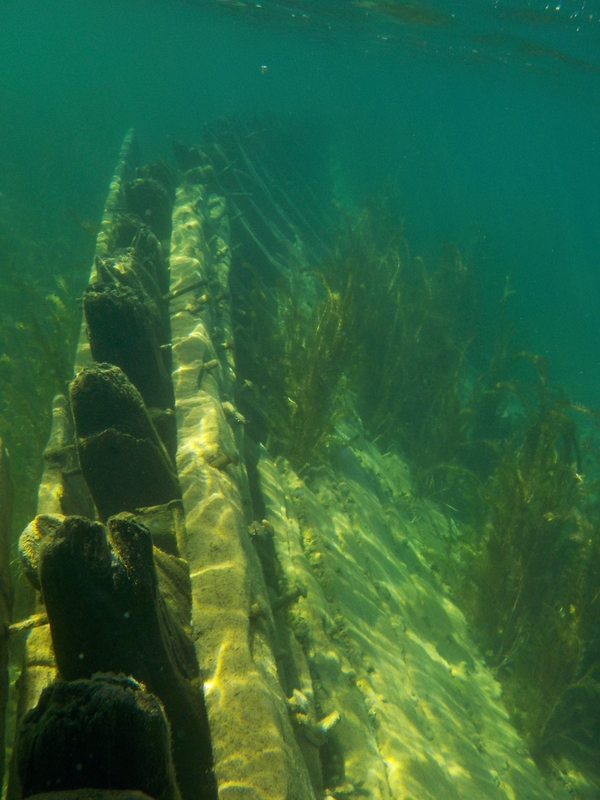 One wreck seems almost complete laying across the bay in about 20 feet of water, it is the Canadian Schooner Sweepstakes sunk in 1885. Very close to this wreck is the burnt out hull of the City of Grand Rapids which caught on fire in the Tobermory harbour in 1907 and was pulled into the adjacent bay to save the dock and other ships. We enjoy the experience and float around the wrecks wearing our pirate hats and saying 'arrrr' a lot. The tourists seem to like our pirate group and we get a lot of friendly waves before we board their ships and seize their treasure. 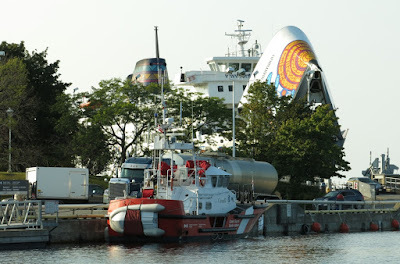 Later we take out treasure and head out of Big Tub and into Little Tub Harbour, home to Tobermory and the loading point for the Chi-Cheemaun. We disembark our kayaks at the boat launch and survey the town, still wearing our pirate hats but leaving our cutlasses in the car. After a quick check we kayak back to the lighthouse and pack up and drive into the town for dinner and sightseeing. 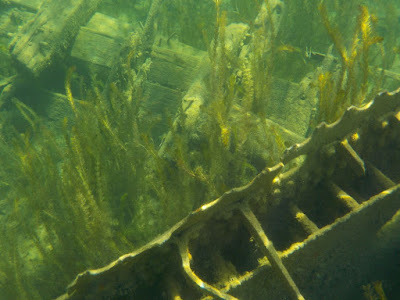 There are four sunken tug boats sitting in 40 feet of water along the east edge of Little Tug Harbour otherwise most wrecks rest in waters deeper than 100 feet, probably best seen by scuba divers. Nearby is the Fathom Five National Marine Park and Land Base, the Bruce-Peninsula National park with the well known Grotto, Singing Sands and many other parks and reserves so there is lots of attractions to keep you busy in the area. 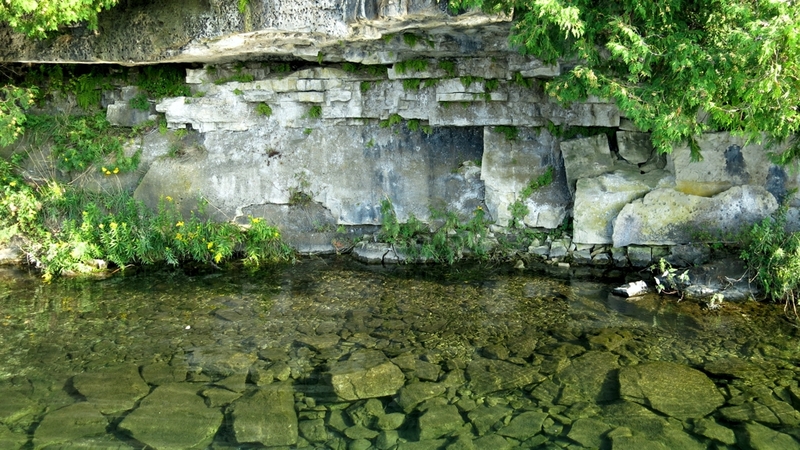 The whole Georgian Bay and the Bruce Peninsula is a tourist paradise and worthy of extended visits. See more of our adventure after the jump.